Happy Friday! This is probably one of the more difficult challenges I've had so far. My friend Kelly LOVES mint green polish. She probably has at least a dozen different mint greens in her stash. I probably didn't help much the day I got her like...3 or 4 of them. Today's challenge was to do a mint green and gold holiday design. WHAT?! When you think Christmas you think red and green, blue and white, gold and silver. What was I supposed to do? I flipped through all my stamping plates, got an idea...then changed it of course. I found some hex glitters (in mint green and gold) that I had sitting in a box. I then got the idea to do a 3D ornament and a little Merry Christmas cheer using a Konad plate. Here is what I came up with. 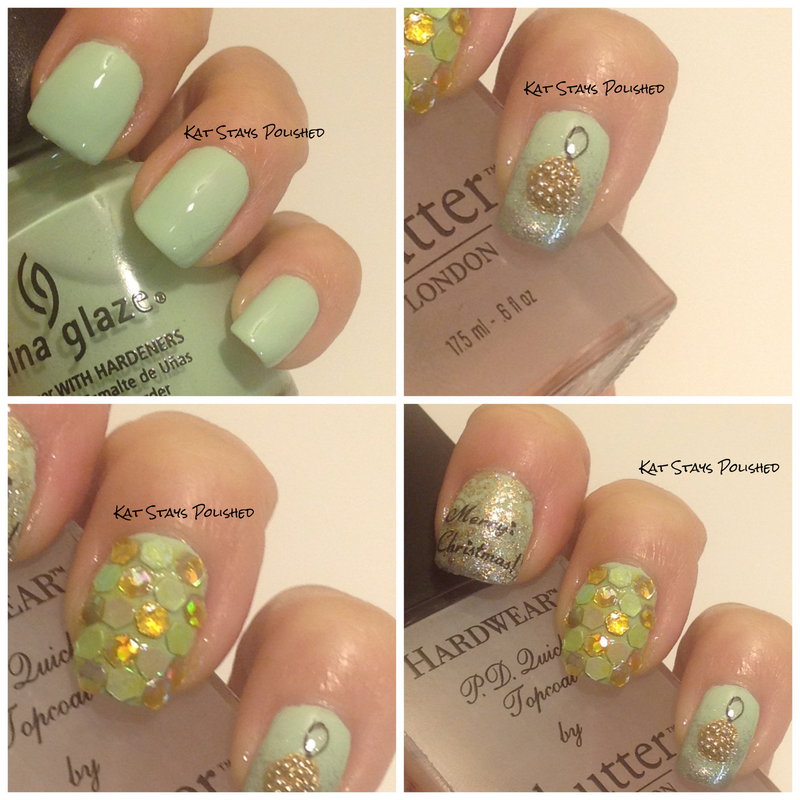 The green used was China Glaze Re-Fresh Mint.